Jacob Stallings went 3-for-5 with one run and one RBI in Monday's win over the Royals. He hit an RBI single in the ninth with two outs to walk off with a win. Stallings got the start after Francisco Cervelli was scratched late with flu-like symptoms and stepped up to the occasion. 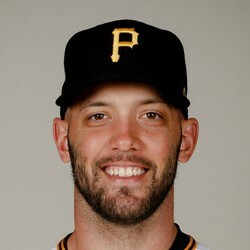 If Cervelli is out for an extended time, Stallings would get the first look.